I am finally breaking in my Miu Miu smoking slippers! Turns out they go with everything (because what outfit doesn’t need a sparkly heel). 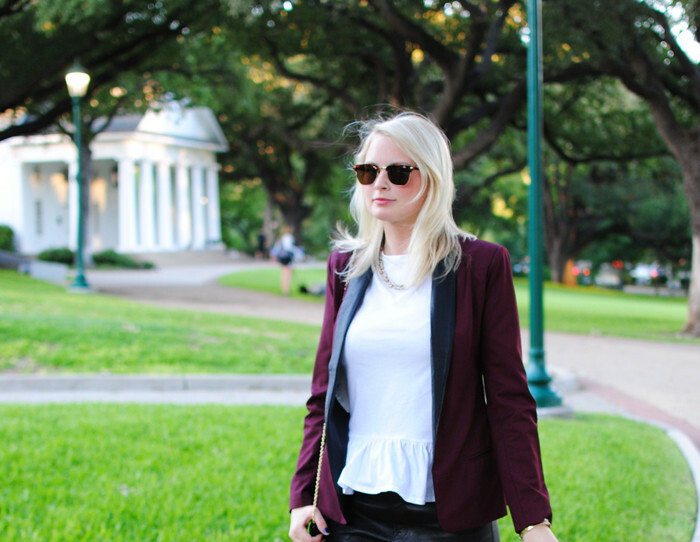 I’ve also been getting a lot of use out of my J Brand leather shorts and ASOS peplum tee. Both great year-round basics!